The accidental band that rose from the still-vibrant embers of Papa Ghostface and became my main creative playground for a while. 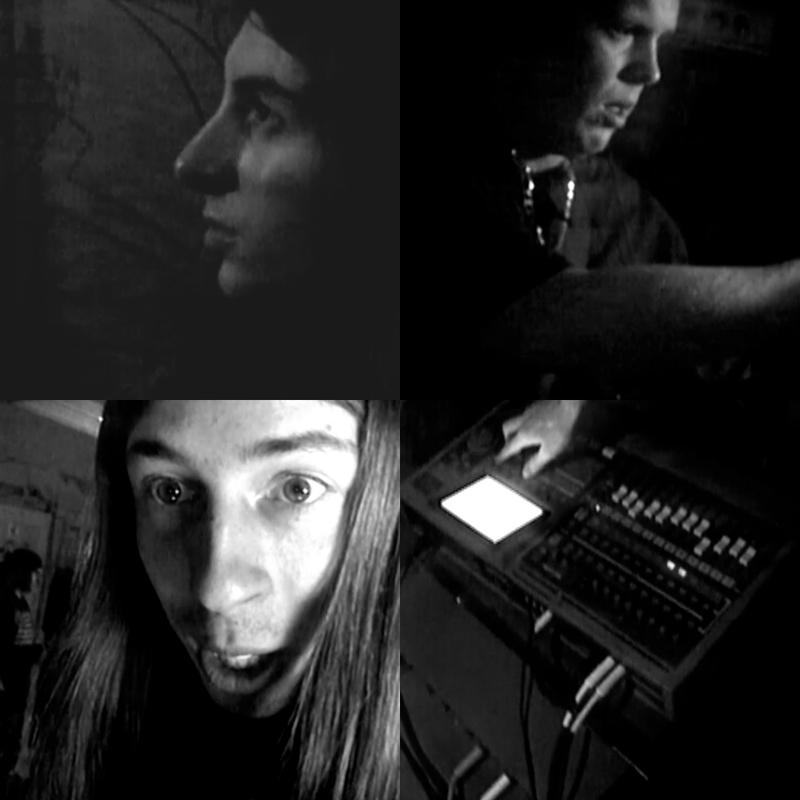 After about half a dozen personnel changes we hit on a power trio lineup, it stuck, and what seemed at first like it was going to be a very informal excuse to make occasional random noise with some friends started to grow into something a lot more serious as we discovered our musical identity without really looking for it. I’m still not sure how to describe the music we made. If I had to give it a name, maybe it would be something like “psychedelic post-emo grunge”. In some ways it was “Johnny West plus rhythm section”. This was very much a case of me using music as therapy and pouring all of my personal hangups into it — or at least it was once we settled in as a trio and things really took off. But while I might have still ended up recording most of these songs on my own, without Gord and Tyson things would have been very different. With those two guys to bounce off of, I took chances I never had before as a singer and a guitarist. As a lyricist, I was not in a very mature place at the time. These were pretty dark days for me, and I put no effort into being poetic or thoughtful, using the improvised nature of the songs as an excuse to try and exorcise some demons. Some of that demonic residue came out sounding uncomfortably close to misogyny. I’m not proud of that, but I felt it was important to be honest about where my head was at, even if it wasn’t a very pretty place. Had I known we were going to become a real band someday, I probably would have put some effort into coming up with a better, more meaningful name for us in the beginning. Then again, we were crazy teenagers at the time. So maybe Guys with Dicks was appropriate. It did allow me to turn a few album titles into excuses for goofy puns, so there’s that. If the typical trajectory of a short-lived band is, “Record one album, play a bunch of live shows, and break up,” ours was more like, “Record many albums, play almost no live shows, and then break up.” Almost no one knew we existed while we were making music, and we never got the chance to play in an appropriate venue for people our own age who might have been into what we were doing. It’s impossible to say what kind of audience response we might have received, though I’ve always wondered. There was a pretty decent amount of video footage shot of us as a band, both in and out of the studio. I wish I had access to that stuff now. I do have a few little relics, but the bulk of the footage was either recorded over years ago by others, or else the tapes have been lost or are collecting dust somewhere waiting to be rediscovered someday (probably long after I’m gone, because life has a twisted sense of humour). At least we’ve got the music. I wouldn’t trade that for anything.